Mirrors can make a room look bigger. We all know that. They can also make a space confusing. We all know that too. At some stage, most of us have probably been in a public place with a mirrored wall and though the room extended further than it actually did. We may even have walked into the mirror by accident. These things happen. The idea of a mirrored ceiling is a strange one. On the one, hand it’s an idea with somewhat seedy connotations. On the other hand, it can double the height of a room; okay, so it can only seem to do that, but you know what I mean. 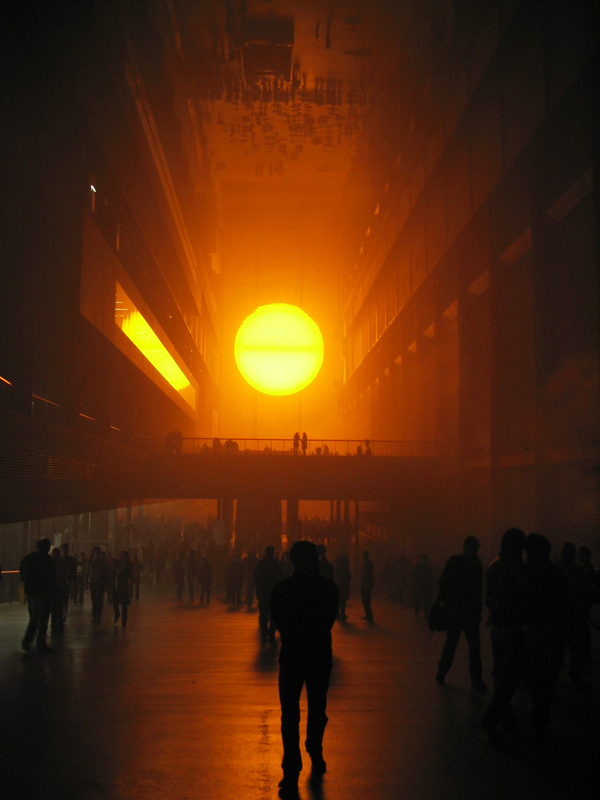 It’s this, somewhat disorientating, effect that Olafur Eliasson was going for when he installed a false ceiling in the Turbine Hall of Tate Modern as part of his 2003 installation The Weather Project. In the event, it both messed with our perception of the height of the space and made people behave in a way that they usually don’t in an art museum. 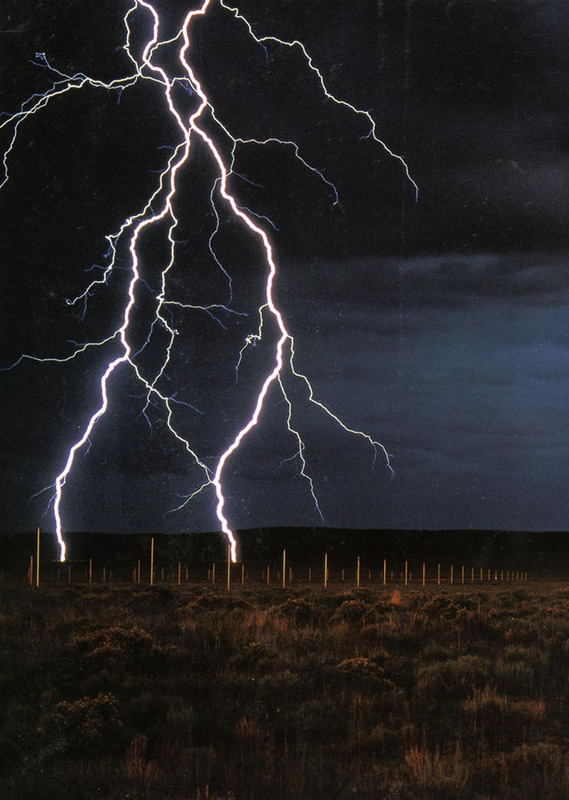 The list of art works I really want to see is quite a long one, but somewhere towards the top – and part of an as yet imaginary art holiday that includes other pieces of American land art – is Walter de Maria’s The Lightning Field. In the middle of nowhere, about three hours drive from Albuquerque, The Lightning Field is, um, basically a field. With, if you’re very lucky (and most who visit it won’t be), some lightning.